Many find it challenging to successfully manage their own financial matters, whether it is paying the current bills on time or saving for retirement. Unfortunately, a more daunting financial challenge may await us - managing the financial affairs of our aging parents. While the need will vary from family to family, it is best to be prepared and to begin while the parents can fully contribute to the process. Here are some helpful tips as you start the process. A careful assessment of your parent’s financial status is the first step to positioning yourself to provide assistance, or assume control, as circumstances demand. This should resemble a balance sheet listing assets and liabilities as well as income streams and routine bills. Institutions, account numbers and access codes should be documented along with the contact information for any financial manager, ideally along with an introduction. In the event that parents might be unwilling to share details of their financial well-being, at the very least they should be encouraged to provide a “map” that delineates where such information can be found. Insurance information, health, life, property, and long-term care, if applicable, should be included in this assessment. Any existing estate plan documentation, will and/or living will should be located. Power of attorney for finances or successor trustee (in the event of larger estates) documentation should be drawn up and shared with the appropriate institutions. Often joint naming and signatory authority on bank accounts (including safe-deposit boxes) is advisable and makes for a smoother transition. Ideally all of the above has been done while your parents are still fully capable of managing their own finances (it is possible, but very problematic, to do this without parental assent or involvement). Next, as with most aspects of planning for elder care, comes a level of contingency planning, identifying when to become involved and to what extent. Obviously, a catastrophic health event can trigger involvement at a high level, but often the signal that outside management is required is less obvious. Certain financial red flags can indicate the need for intervention. 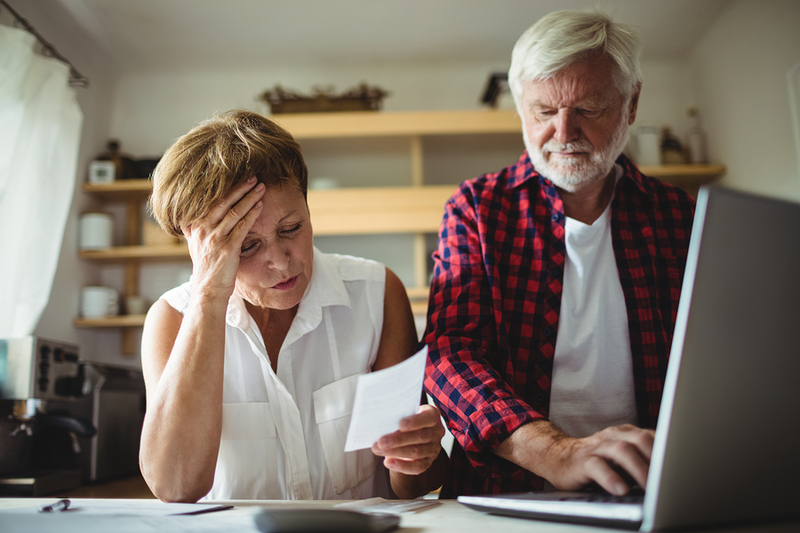 Be aware of warning signs, understanding that inability to manage money is one of the first signs when someone has mild cognitive impairment. One in five people 71 and older have mild cognitive impairment and half of adults in their 80s suffer from such. Intervention may begin with paying bills and balancing accounts and progress toward complete financial management. While some people can assume responsibility for their parent’s finances, others, either due to time constraints or the complexity of the finances, must look for professional assistance. If it becomes advisable to engage professional assistance, this too can run along a continuum from a daily money manager to a professional financial manager. The latter being particularly advisable if the portfolio is sizable and not already under professional management. Additionally, elder financial planning is a growing field of specialization within the financial management profession. Whatever actions you take on behalf of your parents or other aging relatives should be well documented to avoid any unnecessary issues when it becomes necessary to move into the estate stage of management. Financial management is uniquely challenging among the various components of parenting the parent. An early start, a good plan, and seeking outside resources as needed are the keys to minimizing the anxiety and challenge for all involved. Our next article in this four-part series will discuss senior housing options. Please check back or follow us on Facebook, Twitter or LinkedIn to receive notifications of future posts in this series. Note: If you think you may be at the point where a professional financial manager or investment advisor would be of help in navitaging the financial waters for a loved one, Syverson Strege & Company is happy to schedule a no-obligation information session. Please contact us 515.225.6000.